Compact, durable and heat-dissipating machined aluminium body. 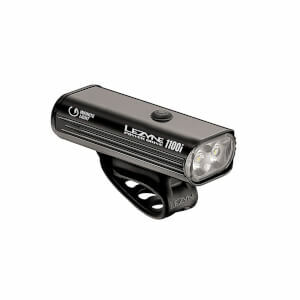 Two market-leading, ultrahigh-output LEDs delivering up to 1100 lumens. Optional Overdrive Race Mode toggles between Overdrive and Economy modes only. Mode Memory function returns to selected mode after turning off. Enhanced MOR (Maximum Optical Reflection) lens with side visibility. High-speed 2 Amp USB charging capabilities (with compatible wall adapter). Versatile strap securely mounts to all standard bar shapes, including aero bars. The shipping was incredibly quick, within a week. The product arrived secured with great padding. The front light illuminates the road ahead of you, it's blindingly bright and has a few different modes. Likewise the back light is brighter than necessary and it has sequential modes which I love! The only thing I dislike is how small the straps are for mounting. Of course they need to be tight but they could be a little bit longer. Even if it's an inch or two. Overall, value for money. It may seem like a steep price, but well worth it. Bought these for riding the streets and unlit trails around town at night. They work great! 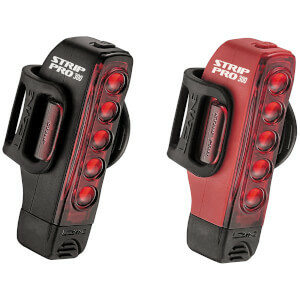 The tail light has several settings and lasts for quite awhile. The front light is very bright and casts a wide beam so it is easy to see along the sides of the trail, not just immediately in front of you. The only drawback (and the only reason I deducted a star) with these lights is that they cannot be on when they are charging. Not a big deal for the back light, but for some future adventure biking I was hoping for a light that could run off a portable battery pack at night. To get that get the 1100i light. I may get one of those and use this one as a helmet light. Overall I am very happy with this purchase. 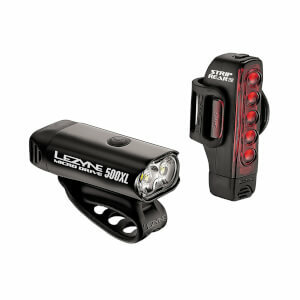 Great light set-up with plenty of options for whatever length of time your ride might bring. Super bright to the simple flash, fantastic product.